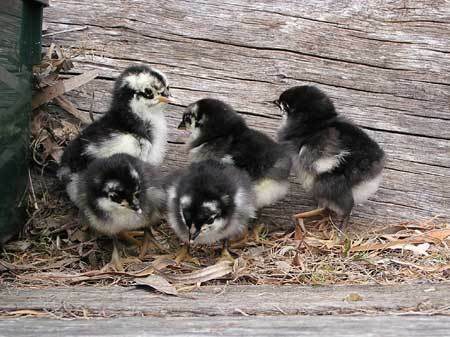 Australorps fall under the category of “utility chicken.” Breeders cross bred Australorps with the utilitarian goal of egg production in which they succeeded. In fact, Australorps hold the world’s individual record and even a team record for egg laying. They usually lay five, light-brown eggs a week from five months of age onward. 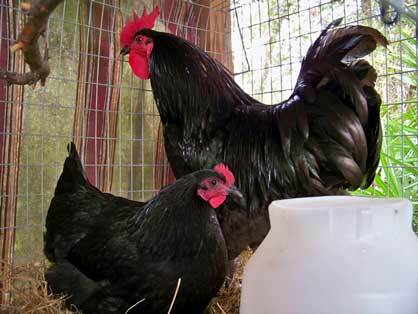 Although bred for egg production, Australorps adequately qualify as a dual-purpose chicken. Large and meaty they reach butchering age at eighteen weeks. The hardy Australorps bear up well to cold weather and confinement. Very ordinary in most categories, Australorps when taken as a whole rank as truly a very extraordinary chicken. Australorp owners say little about the temperament of the breed primarily because Australorps cause very little problem. Temperament descriptors read, “calm,friendly, peaceful, dignified, , sweet, and shy. Breeders classify the most radical Asutralorp as “active.” Their careful breeding has created an active chicken without creating a flighty or feisty one. They like to brood, fly little, fight less, and stay close to the coop. The Australorp, every man’s chicken, has a solid, ordinary look. 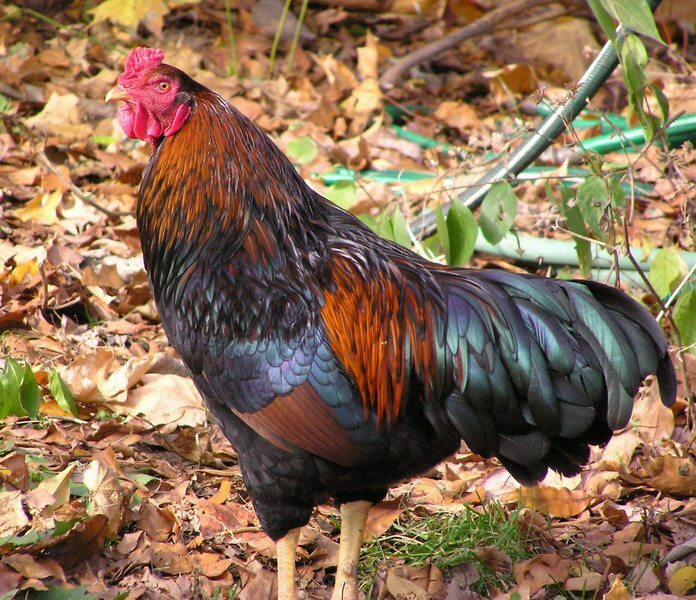 They have a solid black plumage with hints of green or purple hue in direct sunlight set off with a single red comb, medium matching wattles, red earlobes, and dark eyes. They sport no crest or feathers. Handsome but not showy, the Australorp looks the very part of a blue-collar chicken that just does his/her job without fanfare. 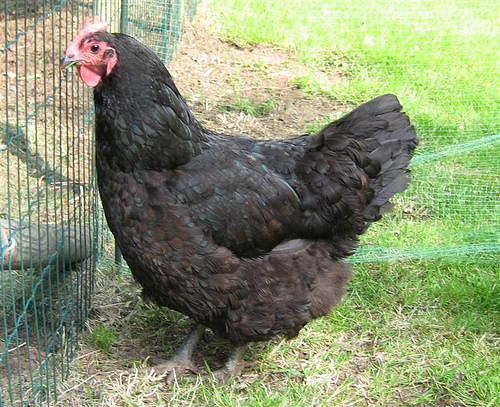 In recent years breeders have introduced two new lines in the breed: a blue and a white Australorp. 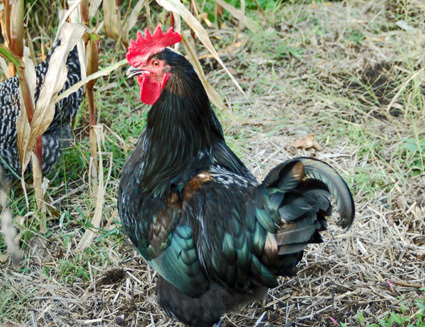 Build a standard coop and run for your Australorp flock. Insulate for heat retention in the winter and heat reduction in the summer. Eliminate drafts. Australorps like to forage as do most egg layers. Build a spacious clean run for them. Australorps lay well into the winter months without electric lights. However, artificial lighting always increases egg production. Using a timer, add the light to the morning hours. They need to have a natural sunset with the light fading gradually. Sudden darkness will frighten your chickens and decrease egg production. Use a good “layer” feed that contains elysine, methionine, calcium, and phosphorus to support the prodigious egg production of this breed. Feed ad libitum. 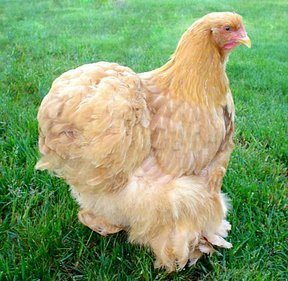 The name of the breed comes from blending names of the Astral breed and the Orpington line. In reality, Austrlorps also have Rhode Island Red, White Leghorn, Langshan, and Minora genes. Bred as a utility breed in Australia, it gained acceptance to England’s Standard of Prefection in 1929. Australia developed their own standards for the breed after World War II. One hen laid a world record 364 eggs in a year. Six hens set a world’s team record of 1857 eggs in a year. Australorps captured both records without the aid of modern day lighting protocols. The breed put Australia on the map in poultry circles and paved the way for utility breeding worldwide.